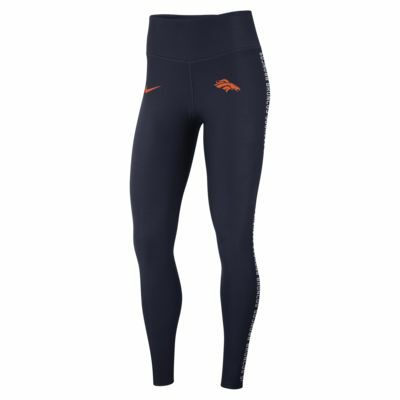 The Nike Dri-FIT (NFL Broncos) Women's Leggings feature team details on stretchy fabric that lets you move freely. Sweat-wicking technology helps you stay dry and comfortable. 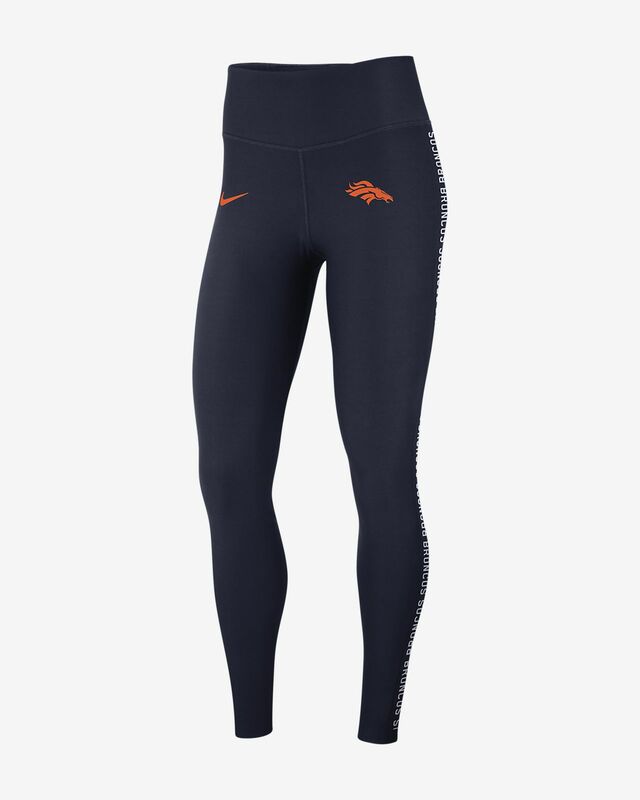 The Nike Dri-FIT (NFL Broncos) Women&apos;s Leggings feature team details on stretchy fabric that lets you move freely. Sweat-wicking technology helps you stay dry and comfortable. Fabric: Body: 88% recycled polyester/12% spandex. Gusset lining: 100% polyester. Have your say. Be the first to review the Nike Dri-FIT (NFL Broncos).